It was 72F today. I live in Pennsylvania. It is the first week of March. The previous record was 65F. Today beat the record by seven degrees. I was lured outside by the weather. It’s too early and too wet yet to do much in the yard and garden, but I cleaned up the front flowerbeds. 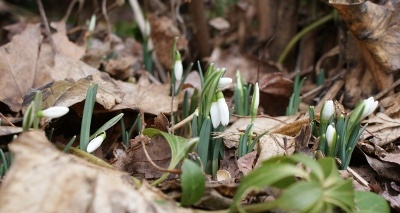 The snowdrops went from furled buds to little flowers over the course of the day. 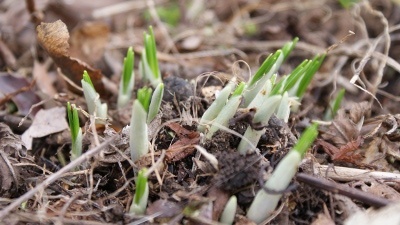 I found the first crocus spears under the leaves, still mostly wrapped in their white sheaths. 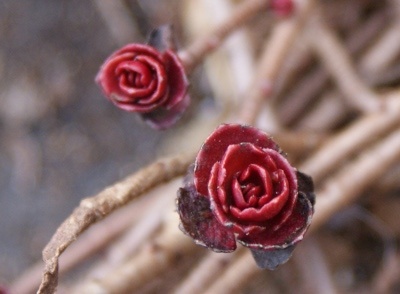 More photos of spring and the remains of winter on Flickr. Just as soon as it decides to behave. Posted in: garden, Must be spring.